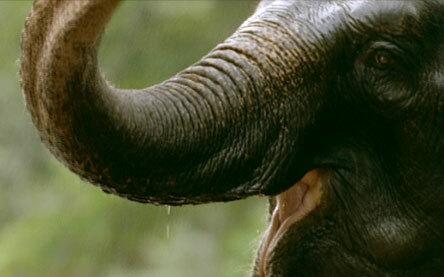 For more than 5,000 years, the Asian elephant has been an important part of Asian society, tamed but never domesticated. 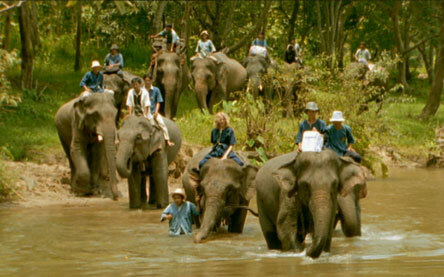 Laos, for example, used to be called "the land of a million elephants." 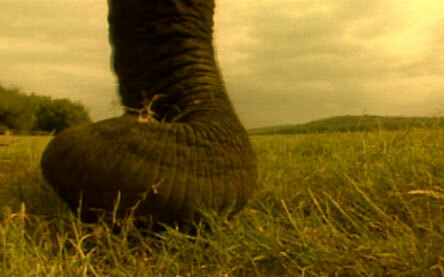 The elephant is one of the most intelligent mammals in existence -- and, it seems, some even have artistic ability. 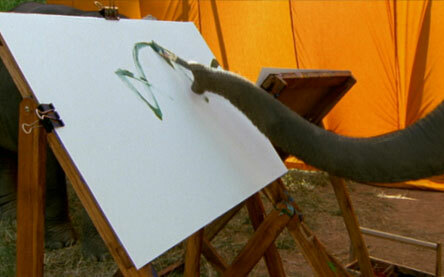 Elephants that have been trained to hold paintbrushes in their trunks create paintings that can sell for hundreds of dollars in British and American art galleries. Limits placed on the logging industry since 1989 have displaced many of Thailand's working elephants. Here, two wander the streets of Bangkok with their riders; many spend their days riding up and down the street in search of donations. 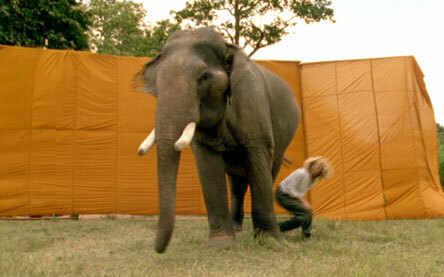 Meg Ryan, narrator and star of "White Elephants," treks into the Thai countryside in search of the elusive white elephant, where an automobile would be useless but an elephant makes excellent transportation. One of the white elephants in the king's herd, this royal pachyderm acts as a symbol of the monarch's divine right to rule. 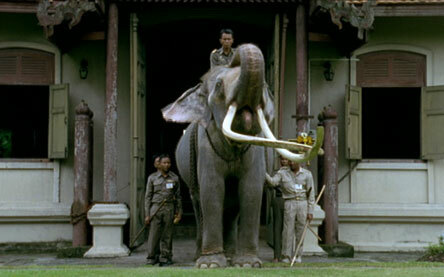 By right, it and any other white elephants in Thailand belong to the king. Exceedingly strong and patient, elephants excel at manual labor. In fact, elephants built the Long Beach boardwalk in Long Island, NY, in 1914! These keepers, called mahouts, develop extraordinarily close, trusting partnerships with their elephants -- feeding, washing, and working with them daily. 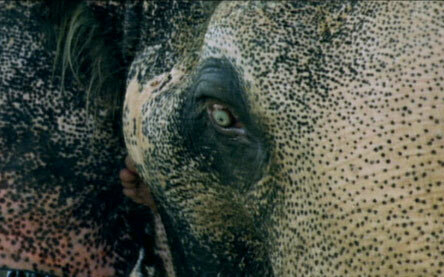 A mahout's relationship with an elephant is a bond that many describe as something close to marriage. 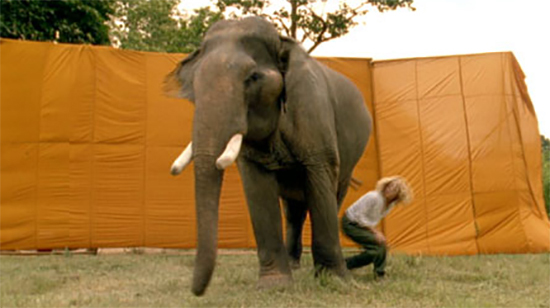 Trying to experience an elephant as other elephants do, by touch and smell, Meg Ryan has let herself be blindfolded in order to learn more about the species. Here, she meets a patient 70-year-old named Bunchu. 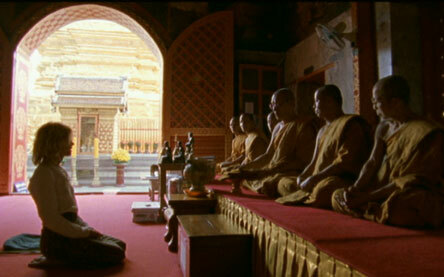 Meg Ryan visits a group of Buddhist monks to ask them to bless some traditional robes she has brought with the intention of tying them around tree trunks after they've been blessed. Thai tradition holds that a tree wrapped in a blessed robe is sacred and may not ever be felled. 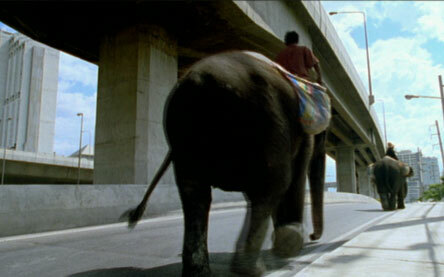 An elephant's trunk is a marvelous tool, acting as hand, arm, nose, spoon, drinking straw, or even a weapon. Its flexibility is due in part to its boneless nature and the number of muscles that make it up: while the human body has around 600 muscles, this trunk contains more than 100,000! Walking under the belly of elephant three times is said to bring good luck. Here, Meg Ryan gives it a try at a fast clip. The mottled skin and light eyes of this elephant are good indicators that it is one of the world's rare creatures: the white elephant. Other physical characteristics to look for include the color of its toenails and the inside of its mouth and the length and hairiness of its tail.